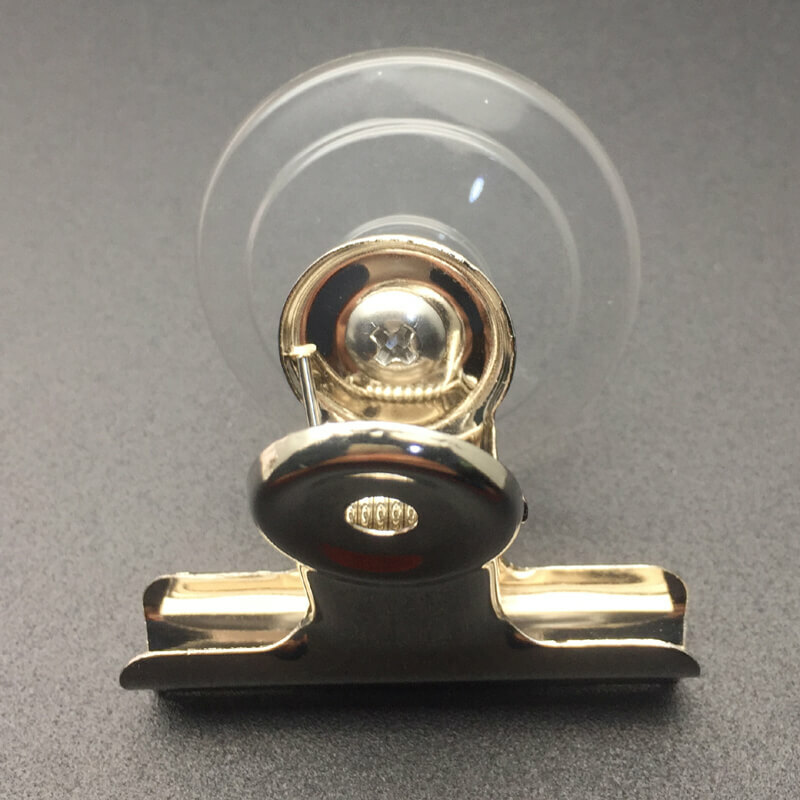 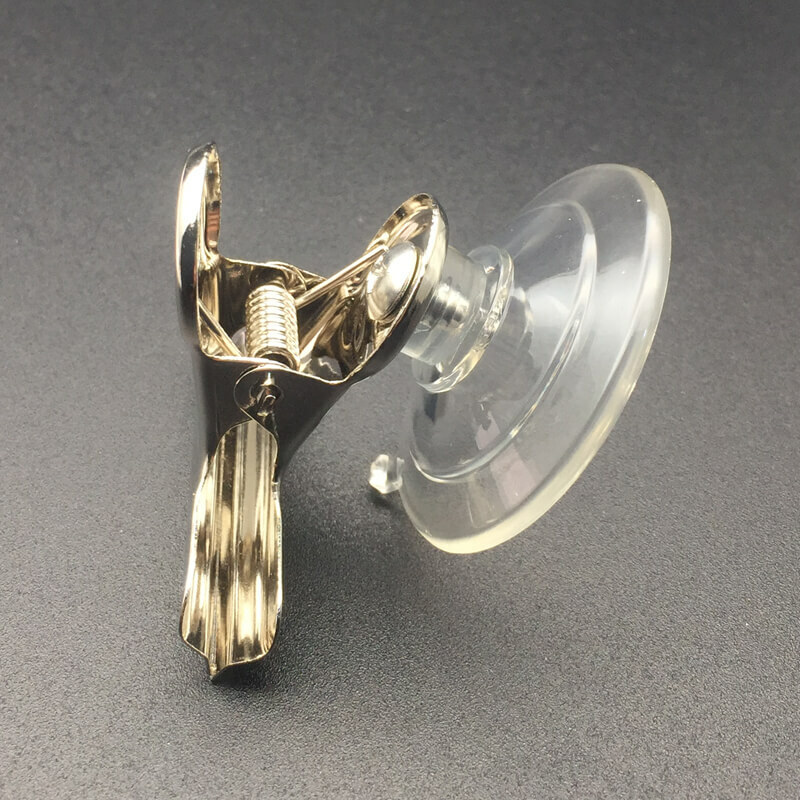 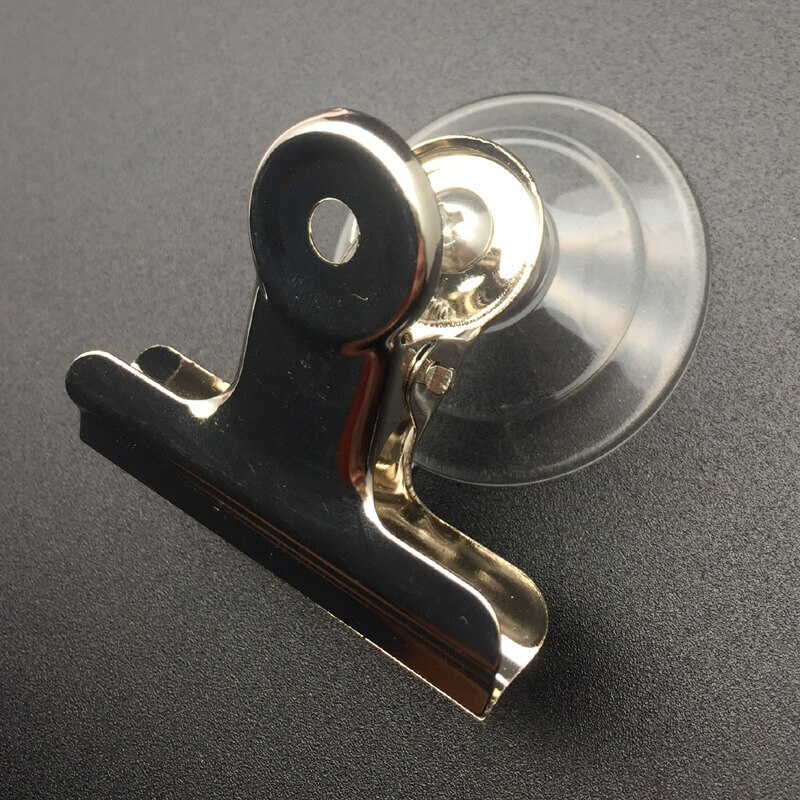 Kingfar suction cups with clamps or bulldog style spring clips are useful for signs and posters on glass doors or windows. 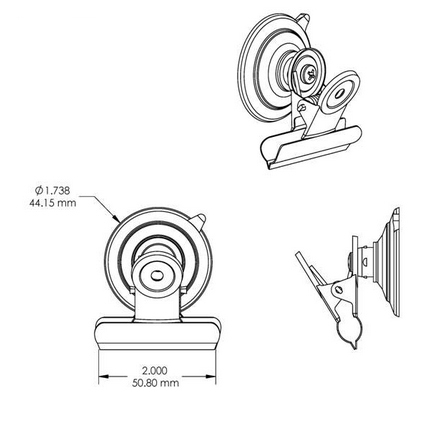 Kingfar 45mm diameter suction cups are rated to hold 3 pounds (1.36 kgs) each in weight. 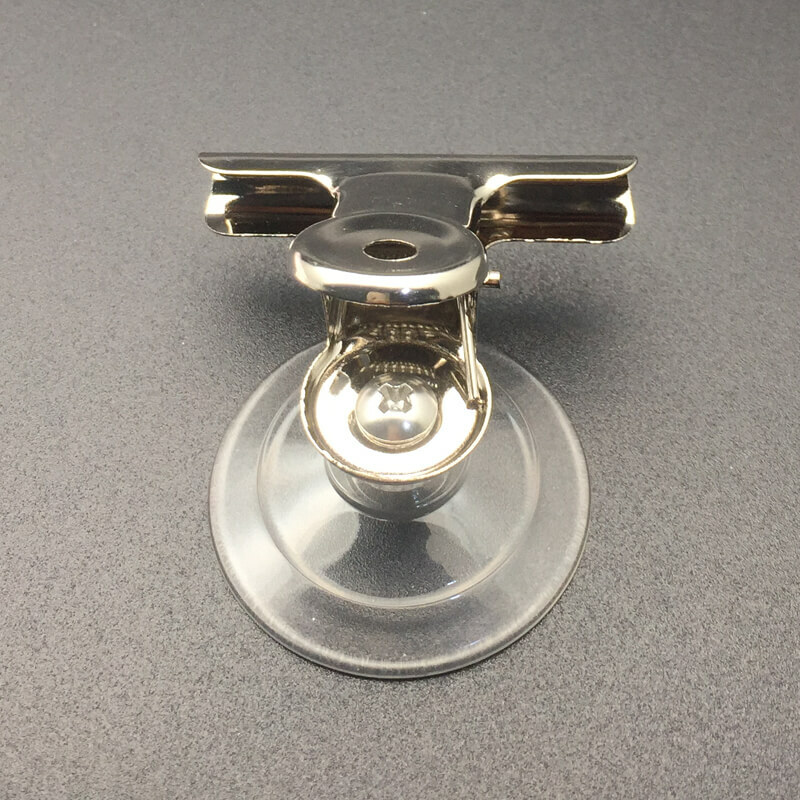 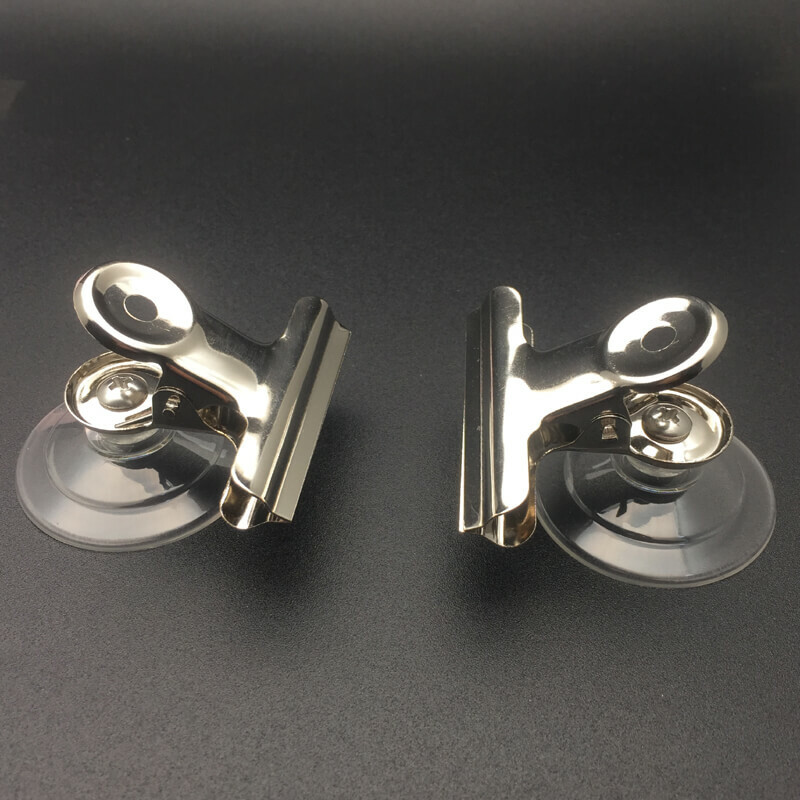 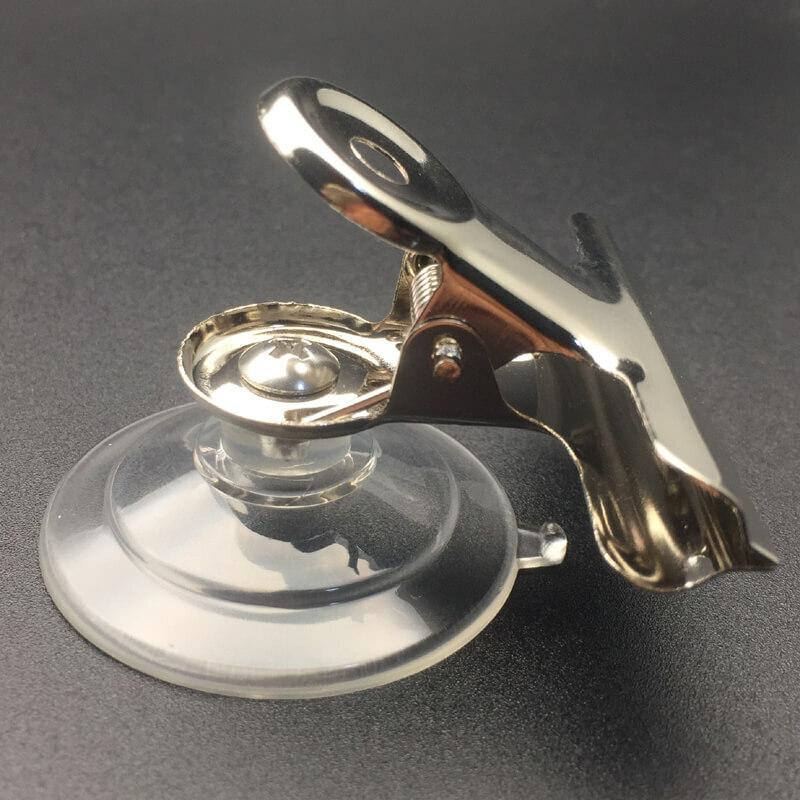 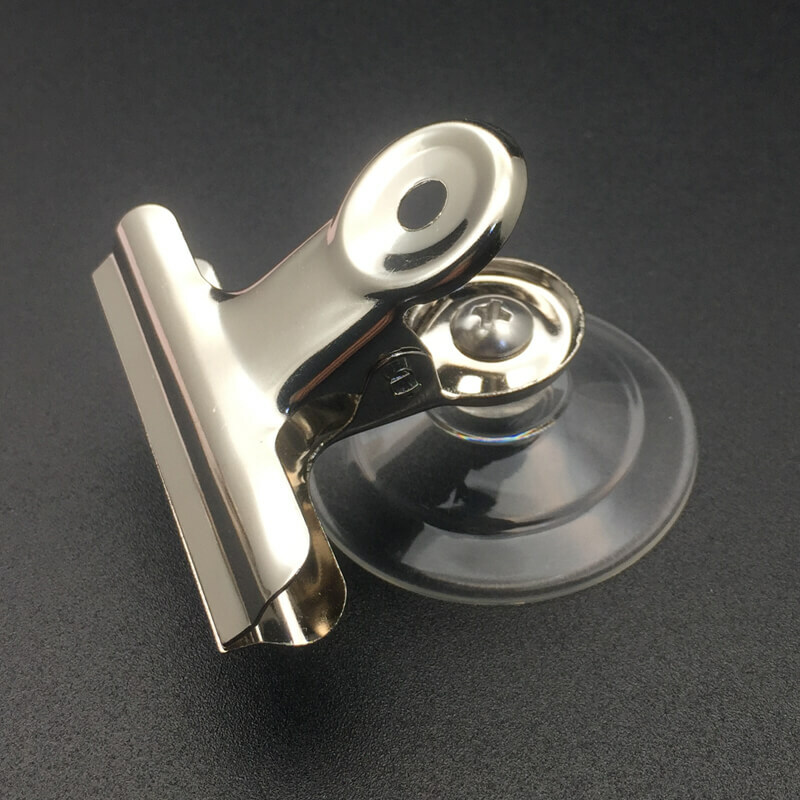 Fix the suction cup with bulldog clip to clean, dry, slick or shiny, non textured, non porous surfaces like glass, mirrors, glossy plastic, glazed ceramic tiles etc. 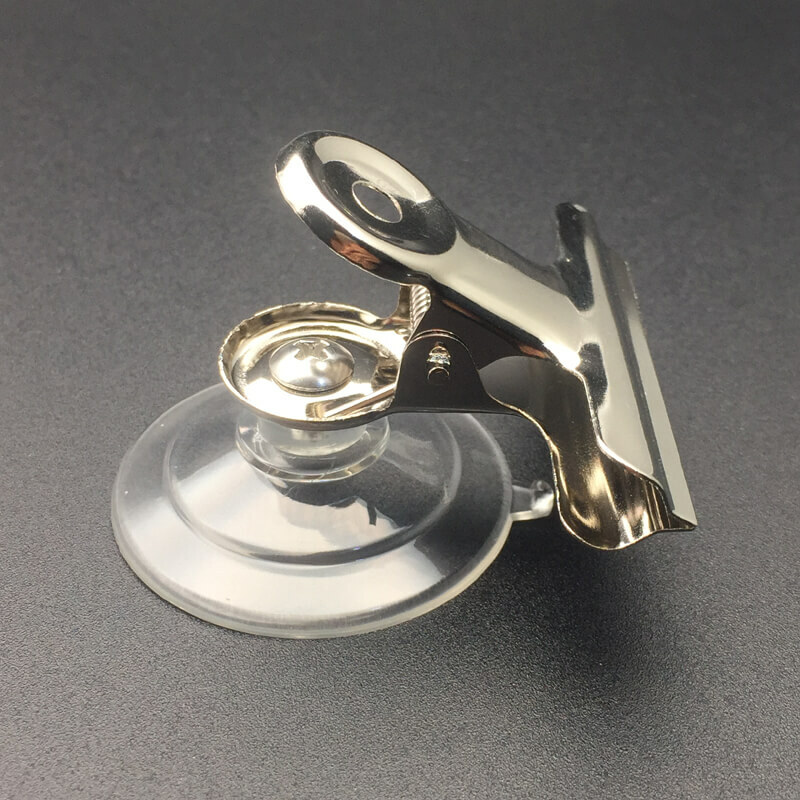 To remove or re-position, use the Kingfar quick release tab on the cup edge.